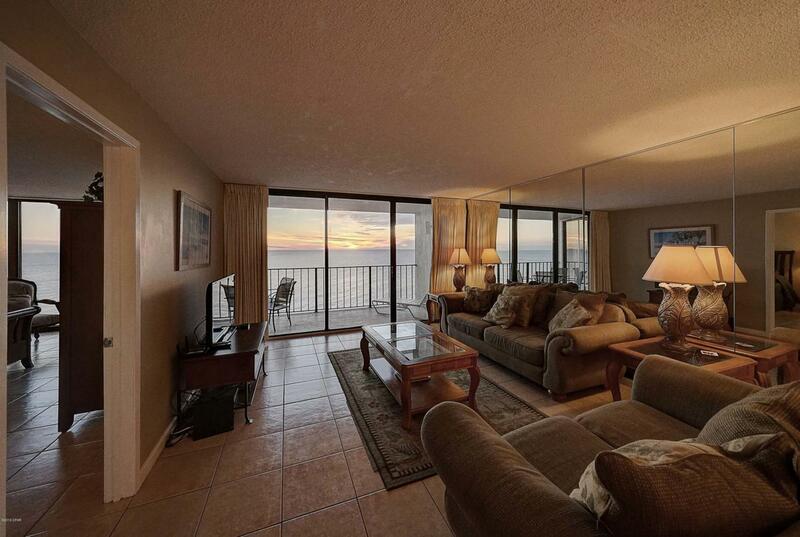 Spacious Gulf Front Master Bedroom floor plan -- updated, furnished, move-in or rental ready! Recently replaced A/C and hot water heater. Beautiful new tiled walk-in shower in the Master Bath. Modern kitchen featuring black granite, custom cabinets, breakfast bar, newer appliances and track lighting. All bathrooms have updated vanities with black granite and custom sinks. 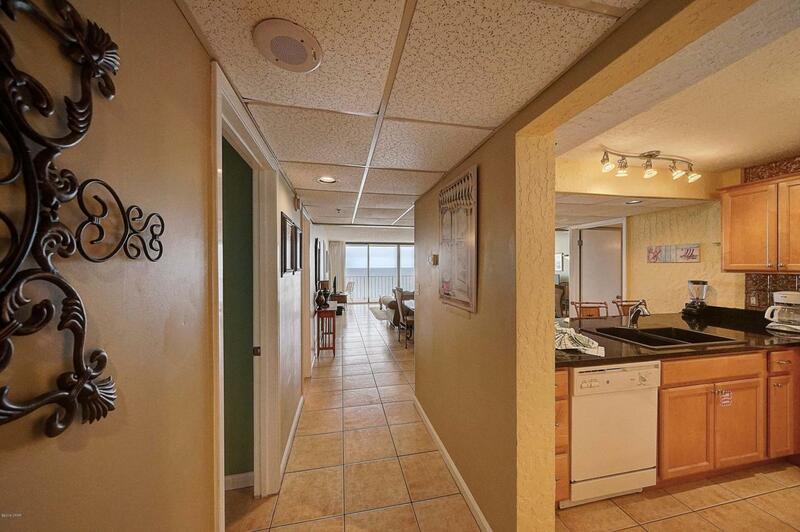 Ceramic tile and attractive window coverings throughout unit. 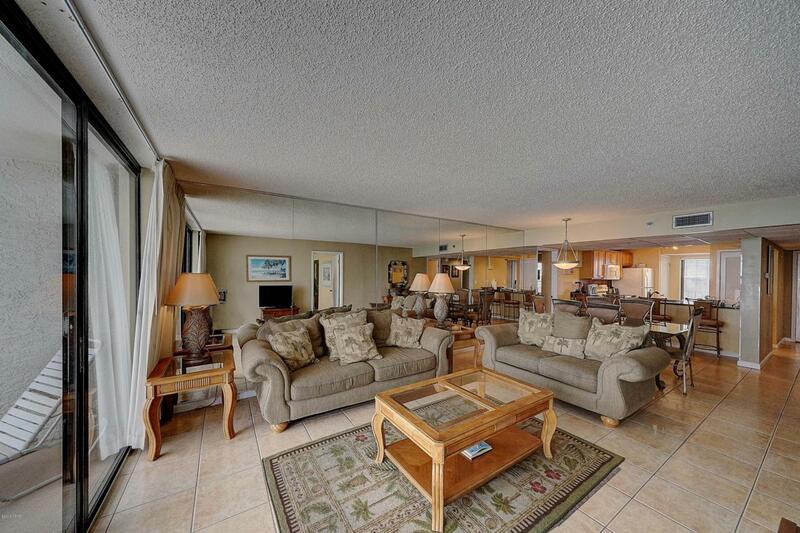 Condo easily accommodates up to 10 people. 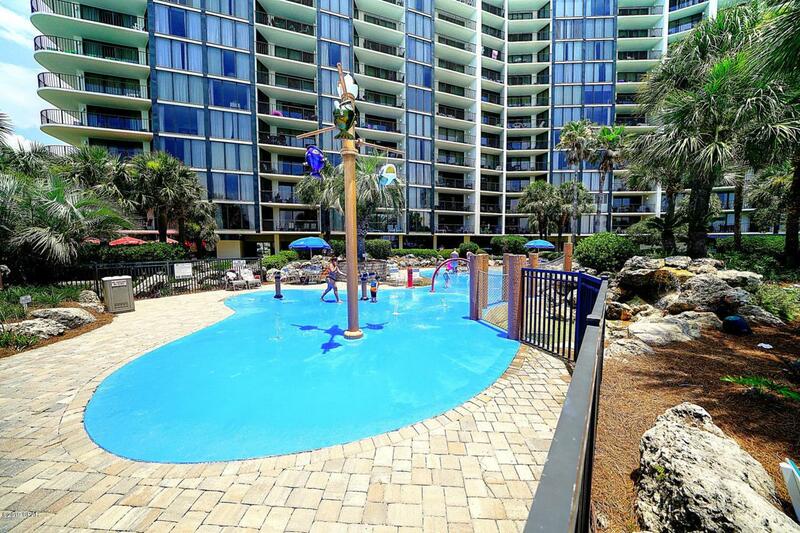 Well maintained unit with good rental history.